Hard Corner Drive-Thru PAD with Cross-Access/Cross-Parking to Sprouts-Anchored Neighborhood Shopping Center, Northern 19. 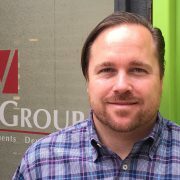 Northern 19’s Major Tenants include: Sprouts Farmers Market, Bookmans and Walgreens. 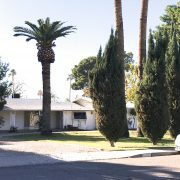 Infill Site Less Than 1 Mile From Interstate 17 (I-17). Across From Light Rail Station – Daily Ridership 49,416 (Valley Metro, 2016). LOCATED IN OPPORTUNITY ZONE. AVAILABLE FOR SALE OR GROUND LEASE. 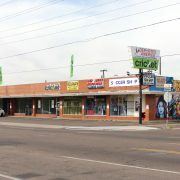 Northern 19 is a single story, hard-corner retail, neighborhood shopping center located in Phoenix’s downtown-midtown-uptown urban core, near Valley Metro Light Rail (49,416 daily ridership – Valley Metro, 2016). 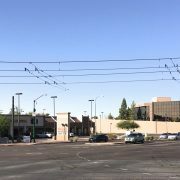 The property is situated in a commercial area, less than one mile east of Interstate 17 (I-17), at the northwest corner of Northern Avenue and 19th Avenue, both major thoroughfares in Central Phoenix, with combined traffic counts of 64,352 vehicles per day (City Transit, 2017). 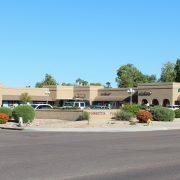 Northern 19 At Midtown is a neighborhood retail shopping center located in Midtown Phoenix, less than 1 miles east of Interstate 17 (I-17), at the northwest corner of Northern Avenue and 19th Avenue, allowing easy access to Downtown Phoenix, the Central Office Corridor, Camelback Corridor and Phoenix Sky Harbor International Airport and numerous employers. Built in 1959 and renovated in 2004, Northern 19 offers a hard corner drive thru PAD and high visibility street frontage retail space with monument signage available. The neighborhood retail shopping center, anchored by Sprouts Farmers Market, has 527 surface spaces available for parking. 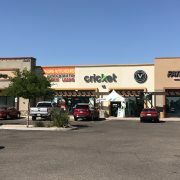 Northern 19 combines a great mix of local and national retailers and tenants, including Sprouts Farmers Market, Bookmans and Walgreens. Copyright (C) 2019 Vestis Group, All rights reserved. Thank you for being a part of Vestis Group. 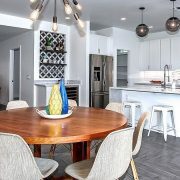 We hope you enjoy this invitation to view our latest project.